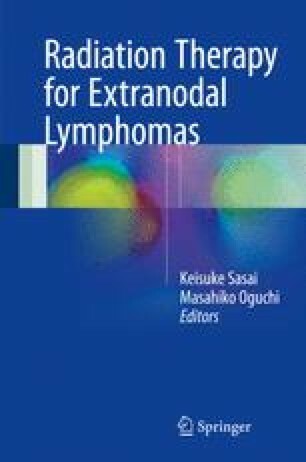 The extended involved site radiation therapy (ISRT) is incorporated into the treatment of patients with stage I and contiguous stage II extranodal natural killer/T cell lymphoma. It is suggested combined modality therapy with radiation and chemotherapy. The extended ISRT should be given concurrently with chemotherapy, but if the patient’s performance status and comorbidities do not allow concurrent therapy, radiation should be administered prior to chemotherapy.